How can any sensible marketer possibly ignore the impact digital marketing has had on the industry? Its effects have been clear and powerful. And with the rising trend of mobile usage among consumers, it’s being taken to another level. The rise of the Internet has led to the inference that direct mail can no longer exist under these current conditions; that digital platforms are the only effective means of reaching an audience and forcing the question of direct mail or digital. If you’re part of the crowd posing these two mediums against each other, you’re part of the crowd that doesn’t understand the power you have at your disposal. Instead, you need to ask the right question: how can I combine these mediums to develop the most comprehensive marketing campaign possible? This is precisely how you need to think about digital and direct mail marketing—as a relationship, with each one feeding off the other. The strength of direct mail marketing is that it can be extremely precise in its targeting with a clearer path to tracking consumer behavior. A marketer analyzing a campaign can see straightforwardly through coupon codes and other means through which the consumer responded to the mailer. Direct mail is a more personal means of communication, allowing for more sensory interaction between the target and the mail piece. Smell, taste, and touch are all senses that can be incorporated into making the piece that much more alluring to the consumer. Digital, on the other hand, although missing these sensory components, allows for much wider reach potential. The nature of anything on the Internet being seen or heard by a large mass of people fuels the capacity digital marketing has to reach an audience more so than any focused direct mail campaign can hope to achieve. And while the potential to touch that many people is an amazing possibility, it also poses challenges. These pertain to tracking who the viewers are, where they first encountered your content, and how they engaged with that content before making any final decisions. The speed at which all of this happens is part of the appeal of digital marketing, along with the chance to interact with an audience through the many platforms available. It doesn’t matter if you’re using direct mail, digital marketing, or some other technology to reach your audience; engagement is the name of the game. Digital and direct mail can be used in tandem to achieve this goal. You need to be thinking about what you can include in your direct mail piece that will lead your targets to the web site so they can engage further with your product or service. You need to be thinking about what content is on your web site or spread across your social media platforms that may lead a customer to request more through direct mail. How can one spur the other? 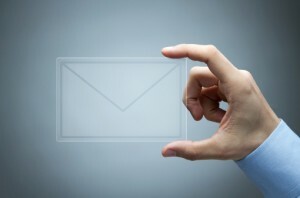 How can a campaign run through direct mail increase click-through rates (CTRs)? Once marketers start pairing these two mediums together and asking questions that reflect how they can be used in unison, then the right path is set for a successful campaign. National Geographic is an example of an organization that effectively marries digital and direct mail tactics. They use information from customers’ past online experiences to create a profile of imagery and personalized content that is targeted specifically to each consumer. By sending them what they find interesting in the mail, they show a genuine care for their customers’ needs. The results are customers who continue to subscribe to the printed magazine, therefore creating lasting engagement. When the right question is asked, the desired result follows. Macromark is a direct marketing company that understands how to target prospects and utilize both digital and direct mail marketing to achieve success for any marketing campaign. Contact us today to learn more.